1. Respect Everyone - if you want respect then you have to give respect. you dnt get respect unless u earn it...that being said...do not disrespect n e body not even severely jokingly. You can disagree without disrespecting. 2. Be as loyal as you can Be - In the pass alotta members have left for reasons that are just unacceptable. You are apart of this clan, and if it start dies and you leave then, it is as well as your fault as n e body elses fault...cause u wouldve helpd it die. 3. Represent your Clan Well. If it is all possible Create a (KOK)IGN and let everybody know who you are...but if u think u just cant fight witout your old vip name or watever then show me that you can be a factor witout vip on an (KOK) account then tht one will be sponsored before you know it... let everybody know (proudly) wat clan you from and recruit as many ppl as possbile. 5. Stay active - If you plan on being out for a period of time, then simply post a topic titled: leave of absence.. and tell y. i do understand majority of u all are in school. But visit the site often when u can to keep up wit the kok news. these are the clan rules. forum rules, such as: no double posting and absolutley no spamming (if its all possible) will be posted later by a co ldr. i would like every member to read and post if they understand and agree or disagree to rules. If rules are broken, there will be a new "strike" system that will be enforced. i was gonna ask u bout the strike thing, but you thought of it first. Wasn't there a rule yesterday that said we can't start big arguments? 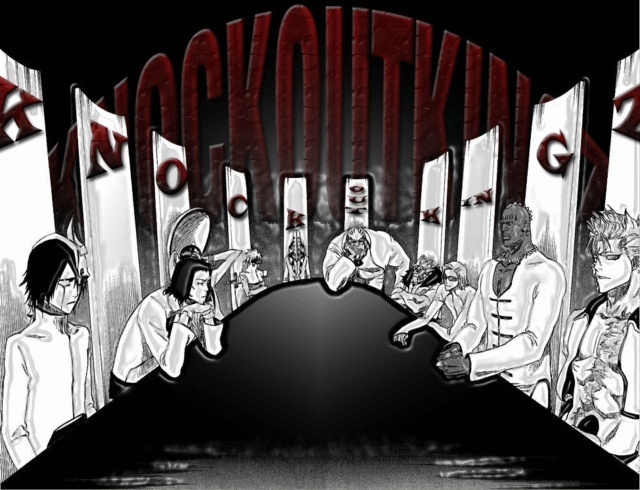 I think it would be a good rule because in the past, a lot of our fellow KoK members were getting into fights with each other... ruining its reputation. what if these rules get broken and no one finds out ??? If you just follow these rules your aiight. dis is about agreein wit the rules not about GayGuy ! yea as long as you follow these rules then your good. And it doesnt matter if gayguy is gay. as long as hes loyal to the clan then hes good.